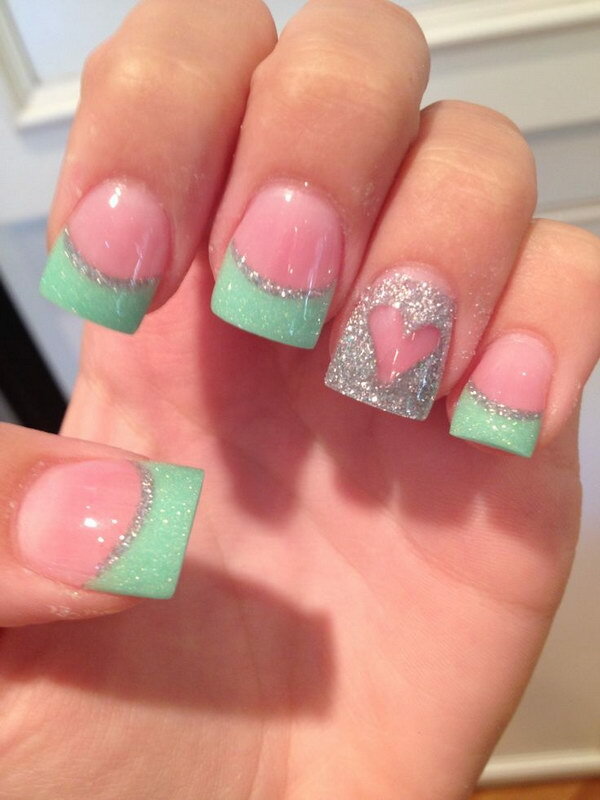 Different colors have different meanings. 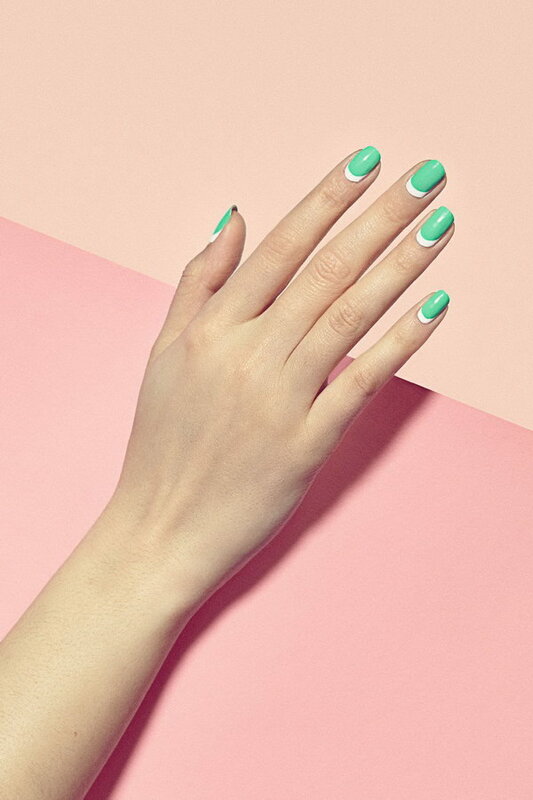 Colors have been proven to affect the user’s moods, and they can evoke certain feelings. 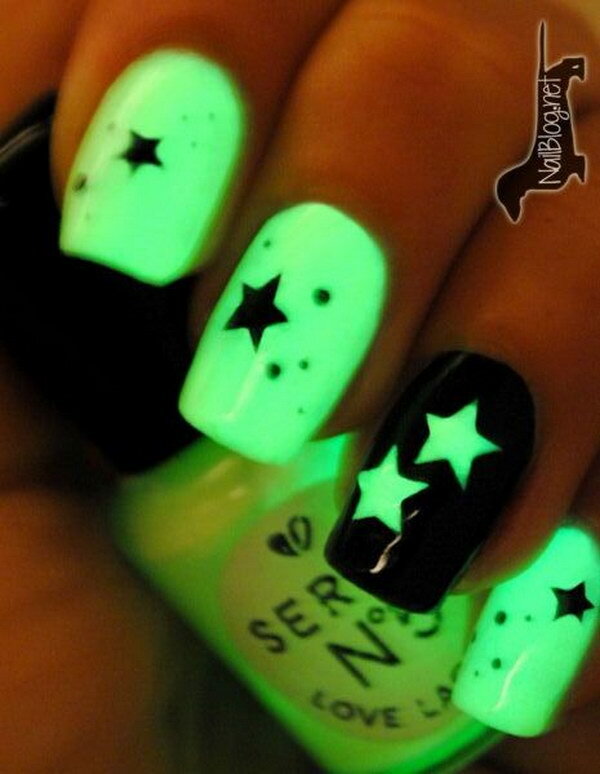 Different colors also show off different personality of the user, and reflect what feelings the user may have. 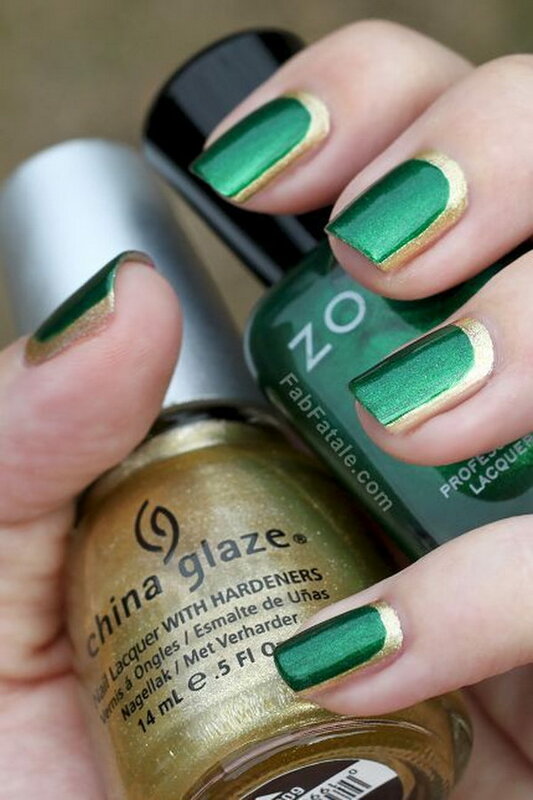 Today, we are going to tell you what does green nail polish say about you and how your nail polish making the first impression for you. 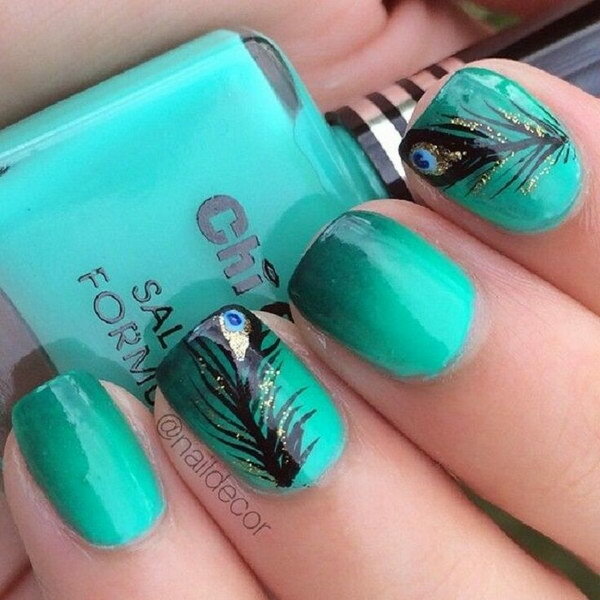 Green is the color of nature which is pleasing to the eye. 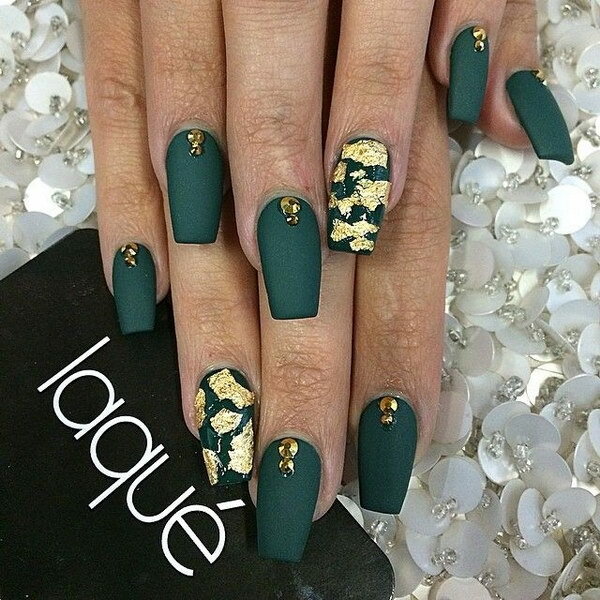 In many cultures, green symbolizes eco-friendly, earth & growth, money, success, fertility, joy, hope, health. 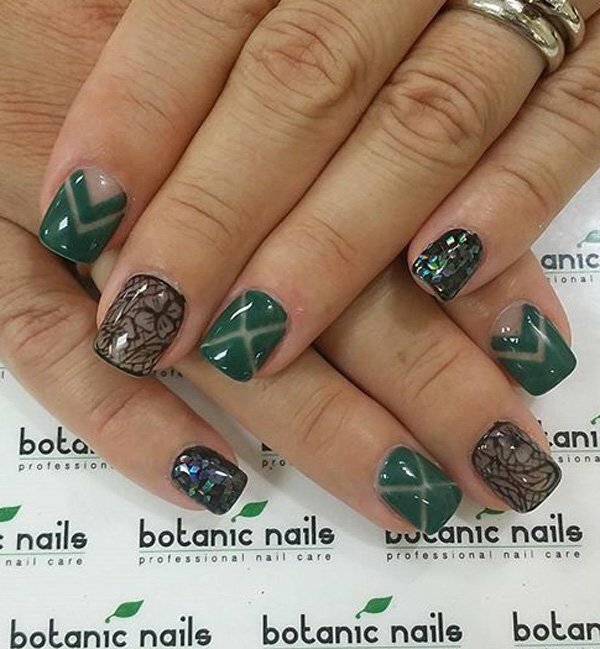 Needless to say, green has been proven to have a soothing or relaxing effect to our senses, which tends to make us relaxed and happy. 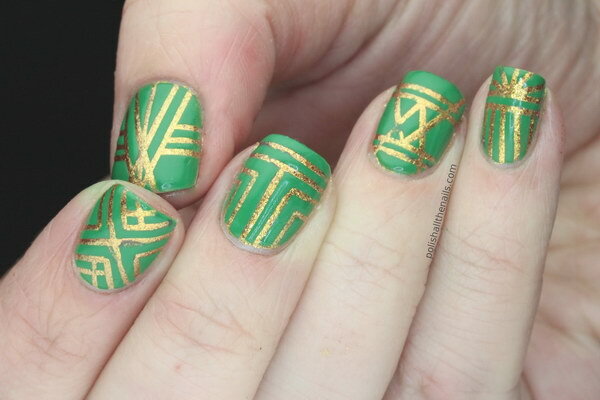 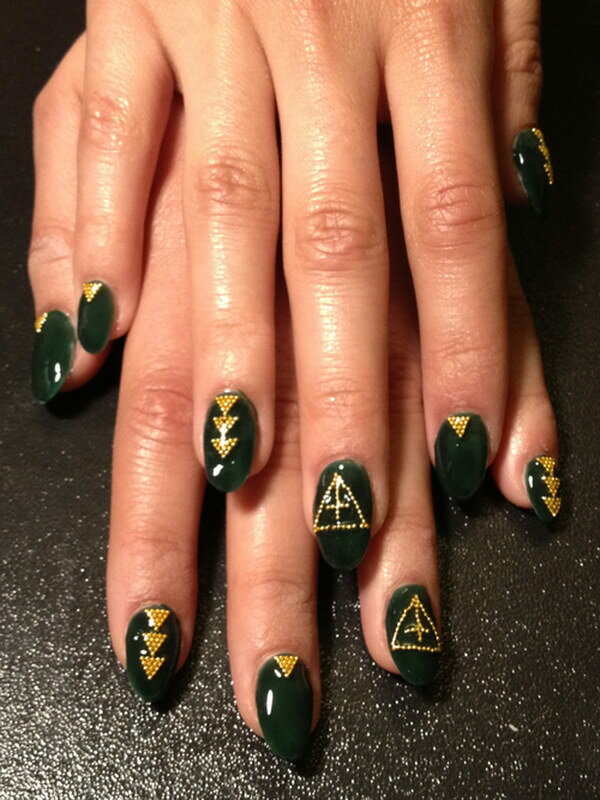 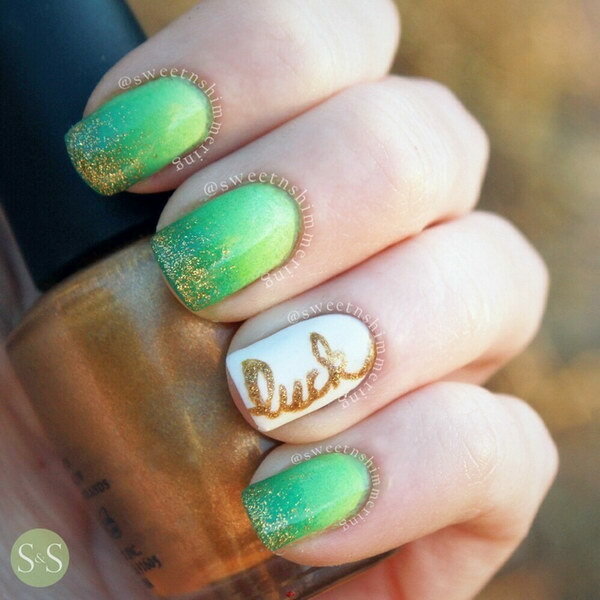 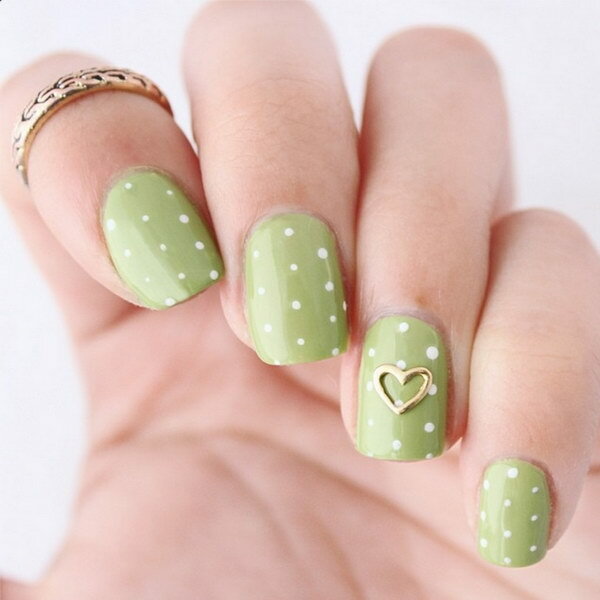 A girl who loves to wear green nails is very dynamic and communicative. 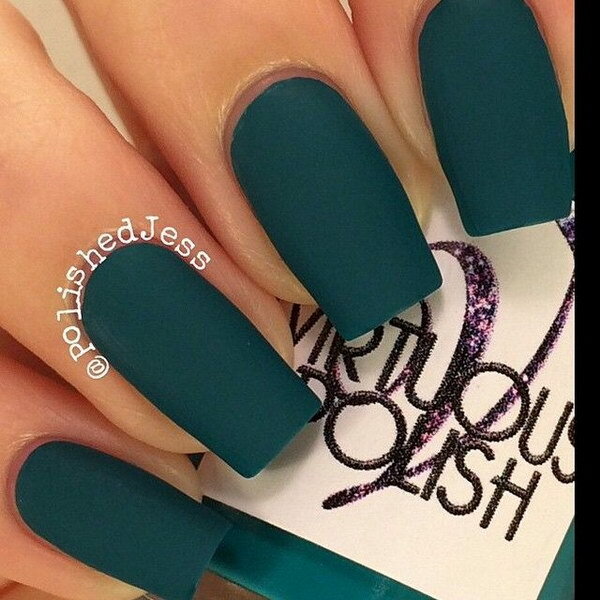 She’s always community-oriented and a loyal friend with a strong need to belong, she’s not overly concerned with how strangers perceive her. 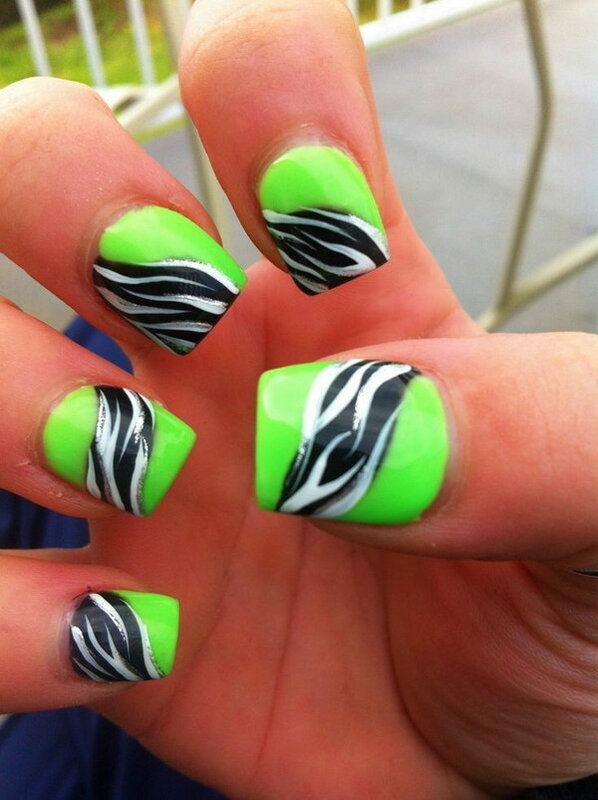 And she can talk to strangers with ease and is always in a good mood. 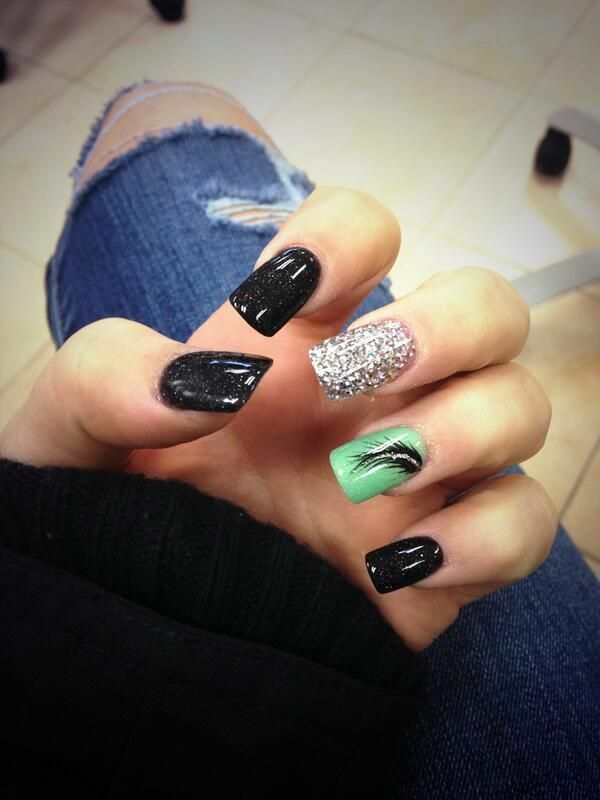 And because of her soothing personality, friends love to seek her out for advice. 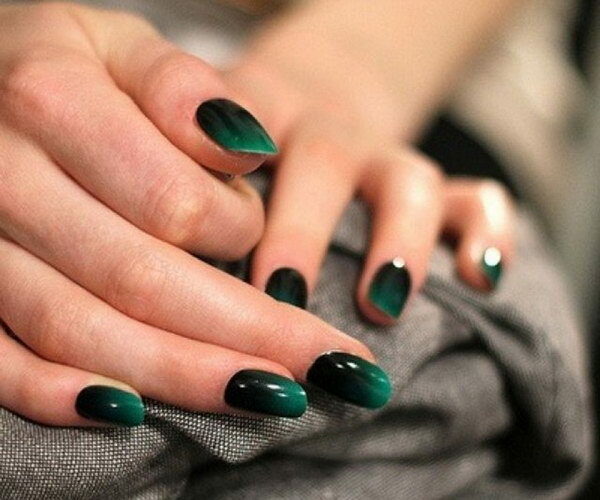 Green has many shades and varieties, it can both be warm and cool. 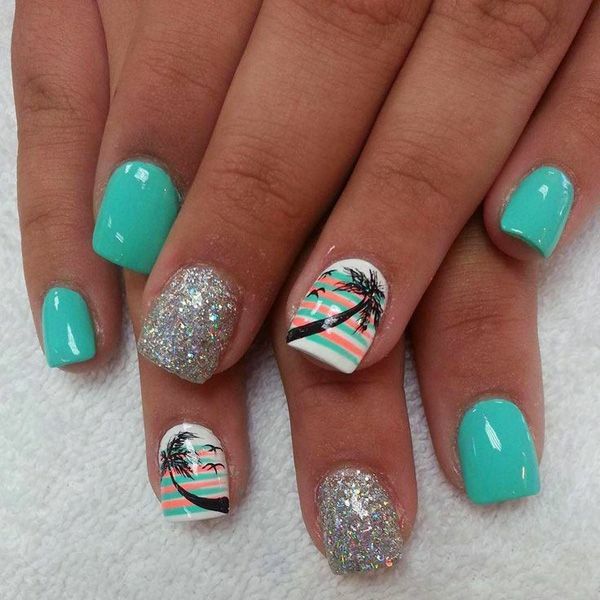 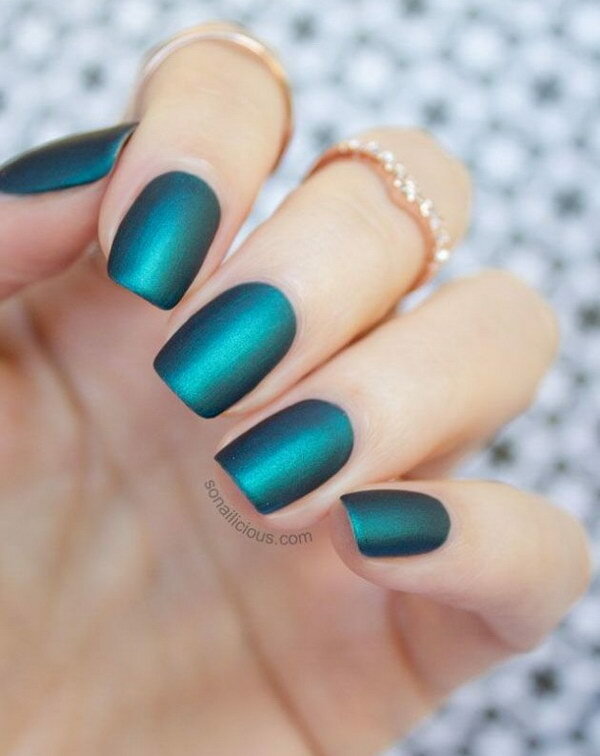 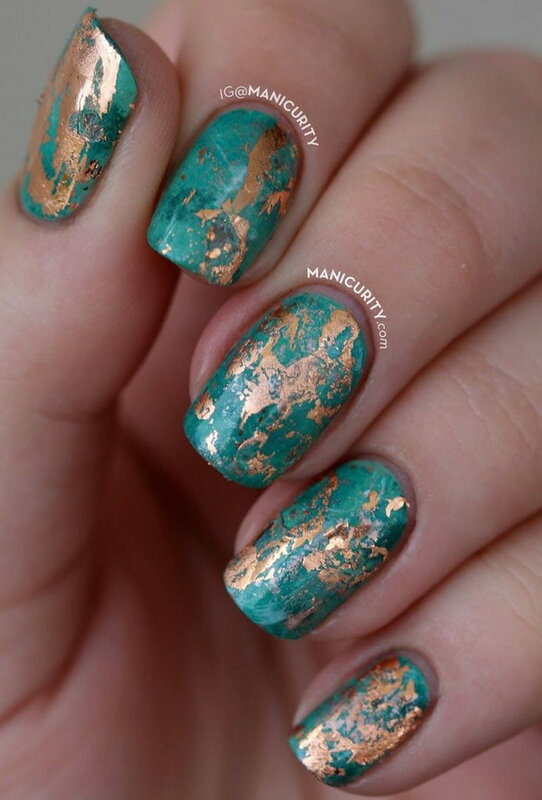 Wearing richer emeralds and teals on your nails shows that you are more confident and strong-willed; a love for brighter grass greens and mints means you’re sweet and a little sassy. 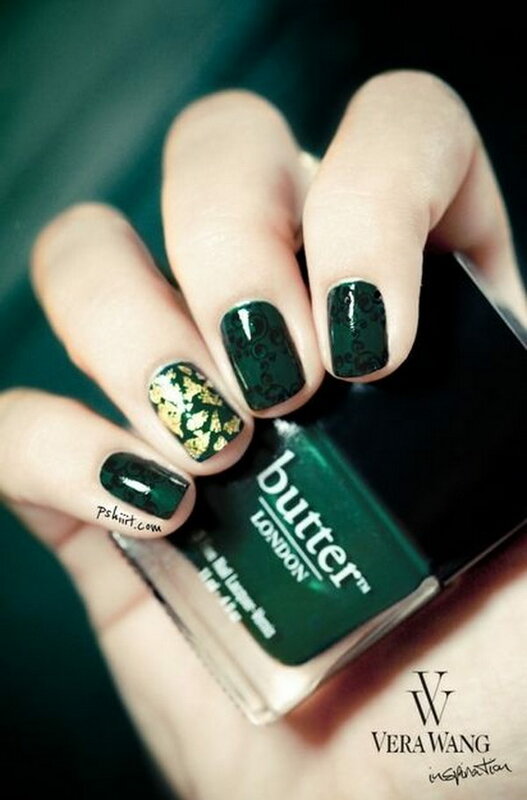 Choose the right shade of green color that will flatter your skin tone. 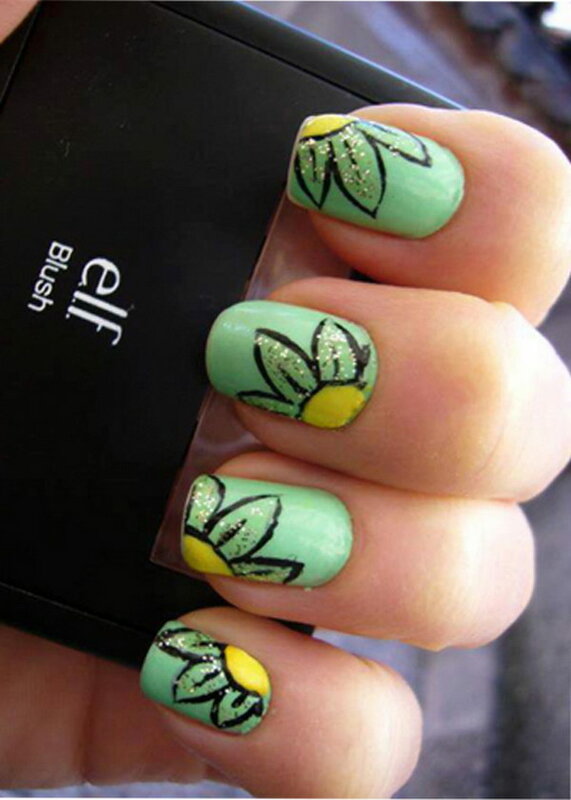 If your skin has warm undertones, try yellow-based greens, like apple and moss. 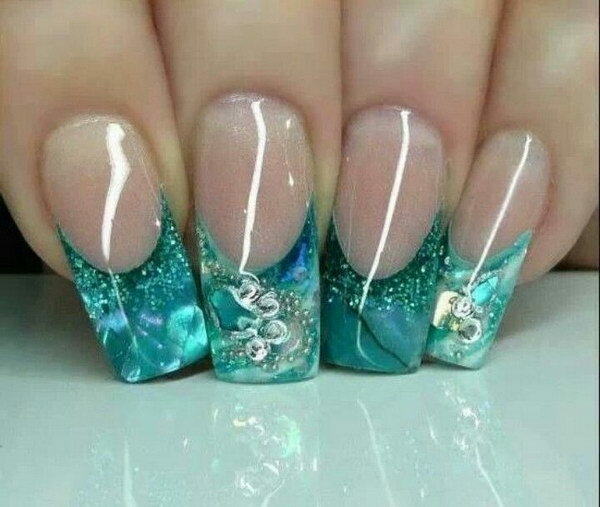 If cool undertones? 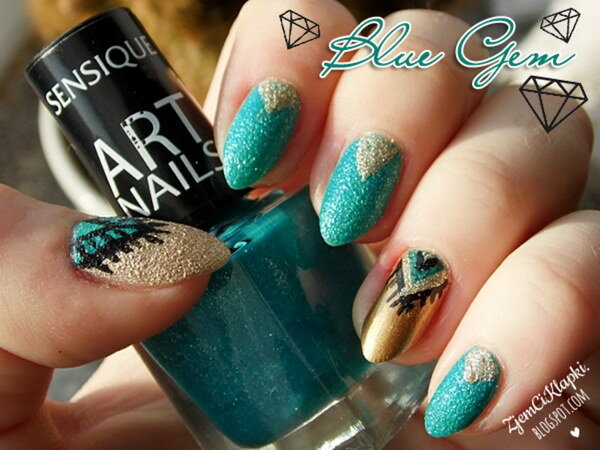 Go for a blue-tinged shade, such as spruce or emerald. 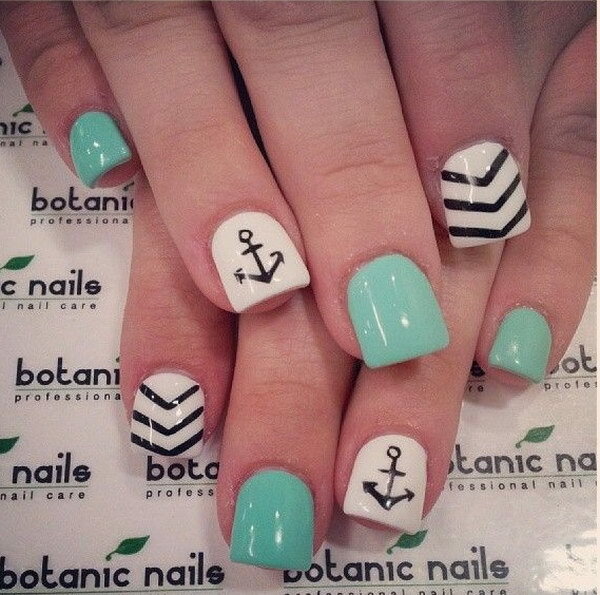 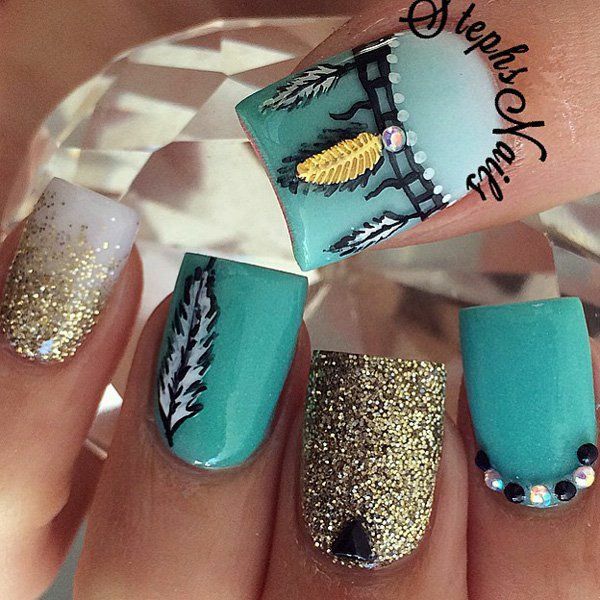 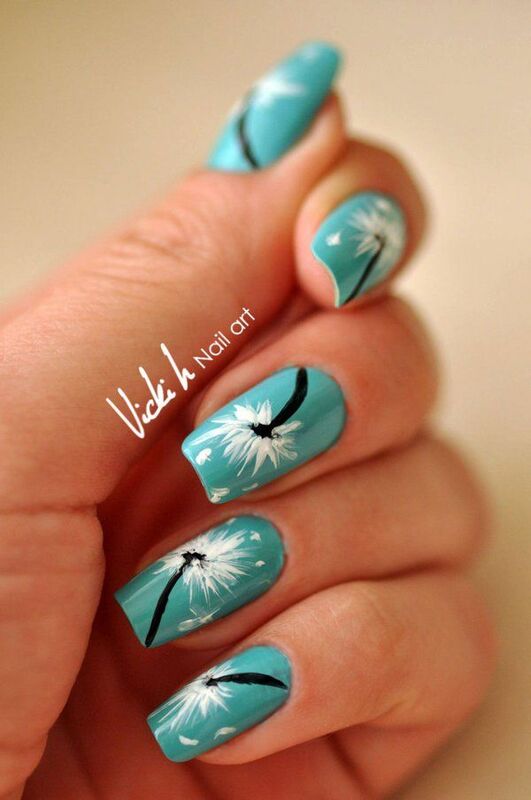 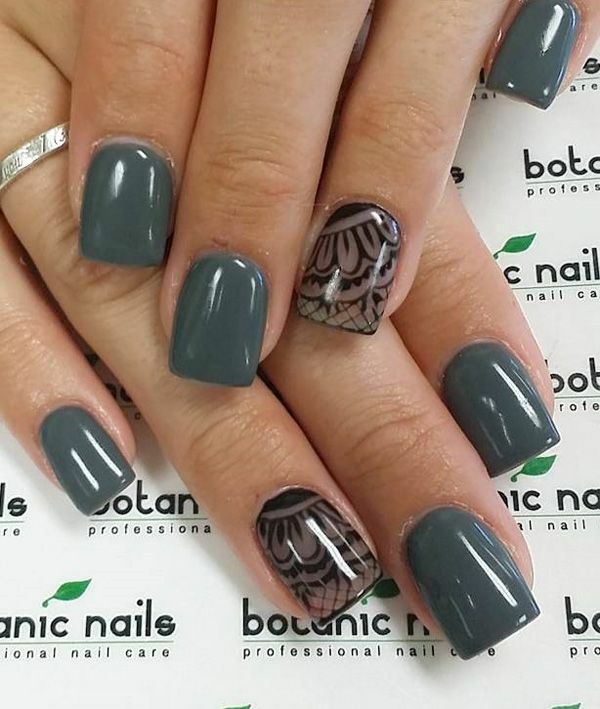 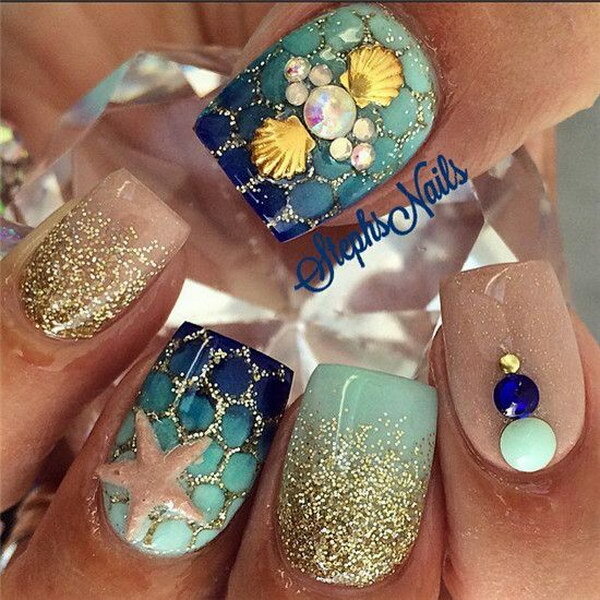 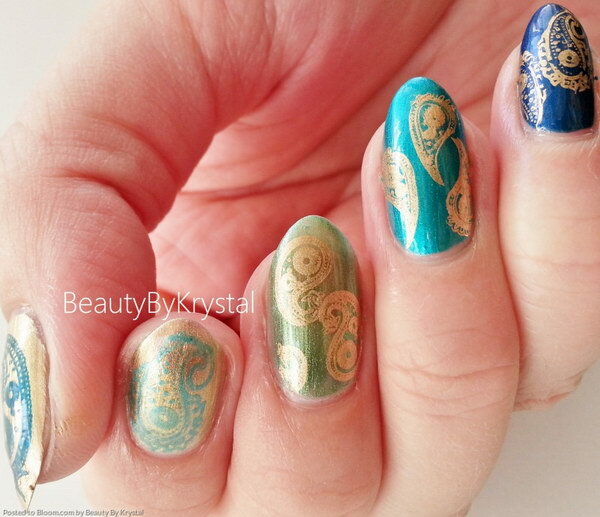 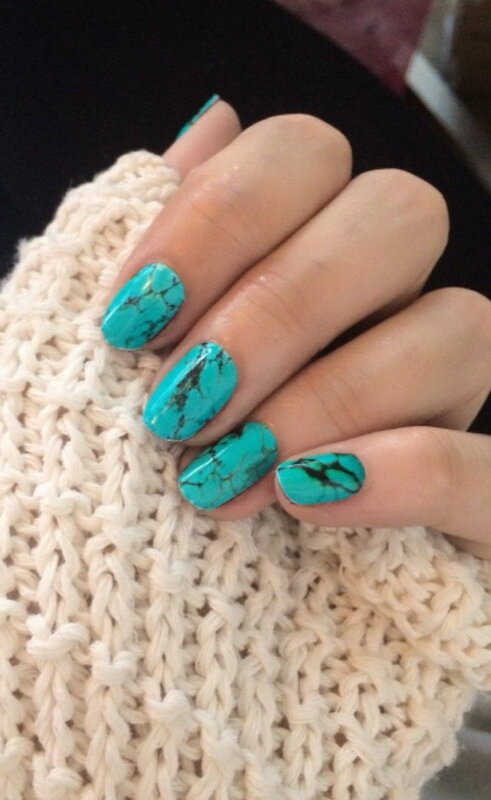 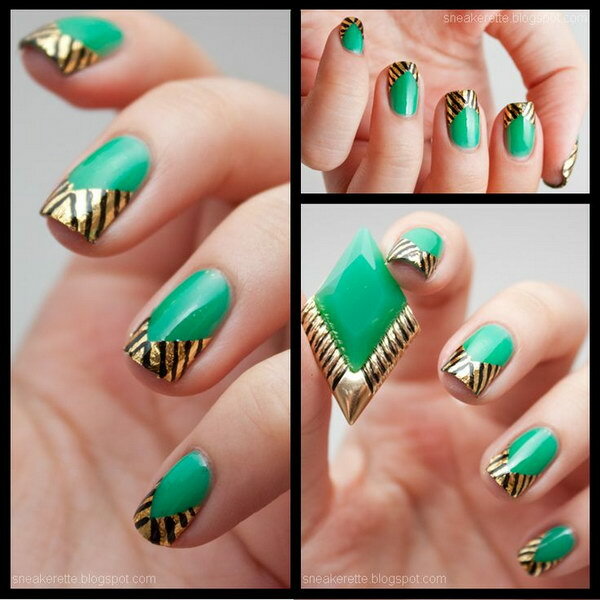 And nail is a part of your style, just like any accessory. 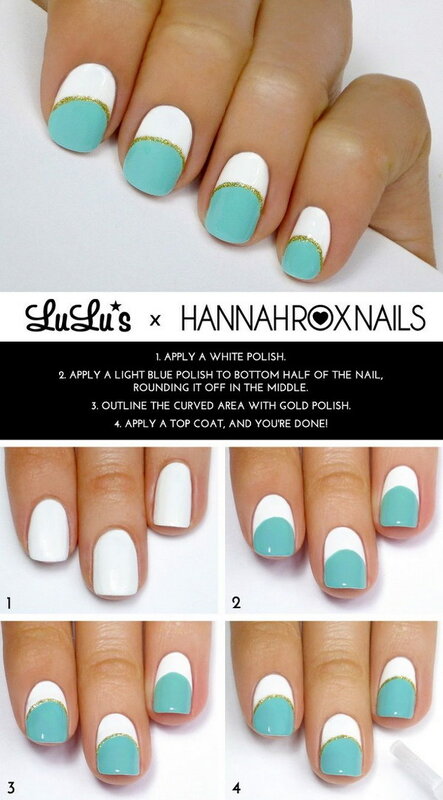 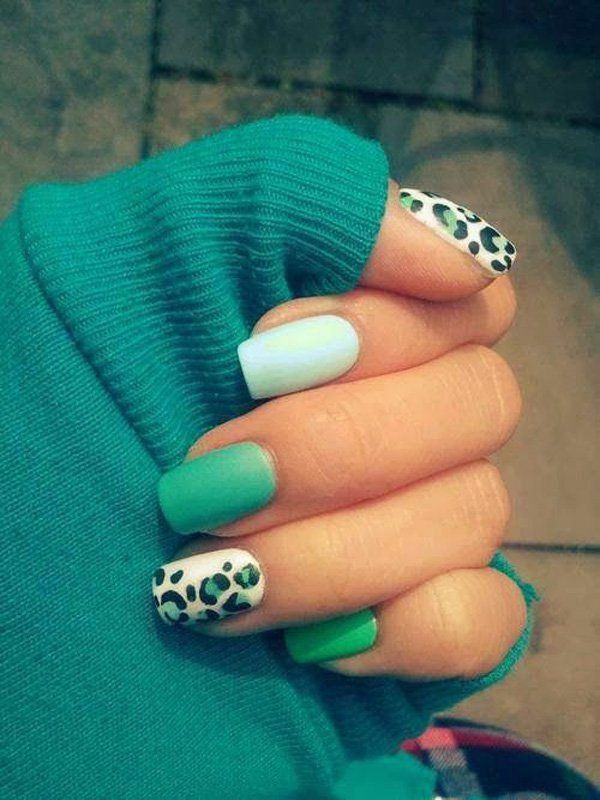 Try to complete your outfit with your nails. 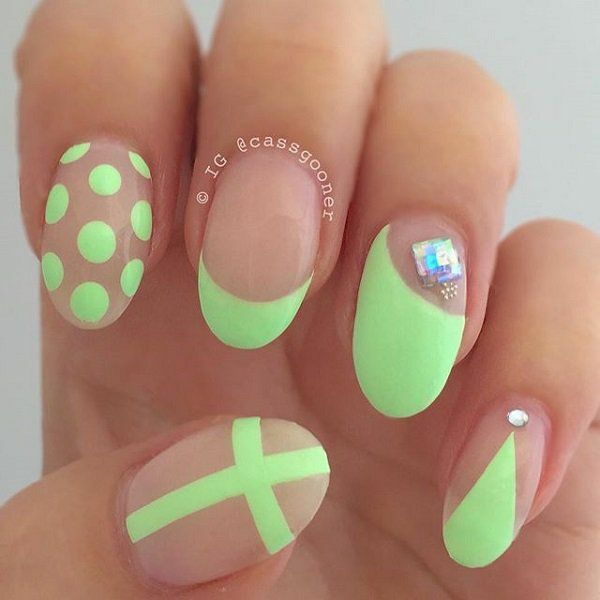 To create a beautiful green manicure, you can combine different shades of green with any other color you want like white, pink or gold, and some cute elements and nail patterns. 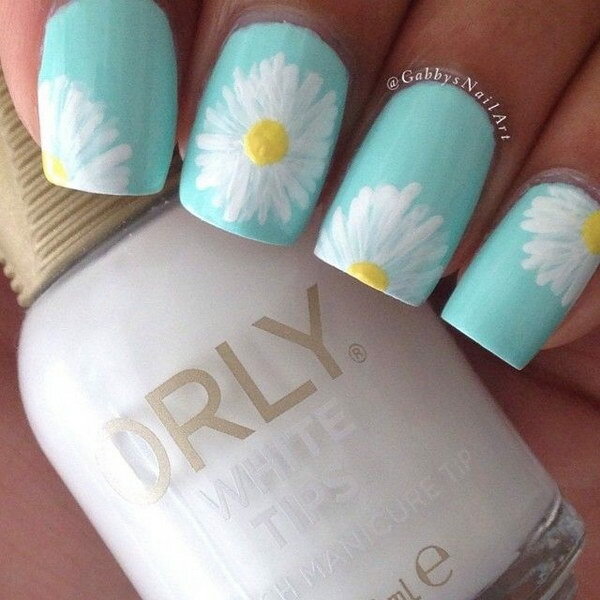 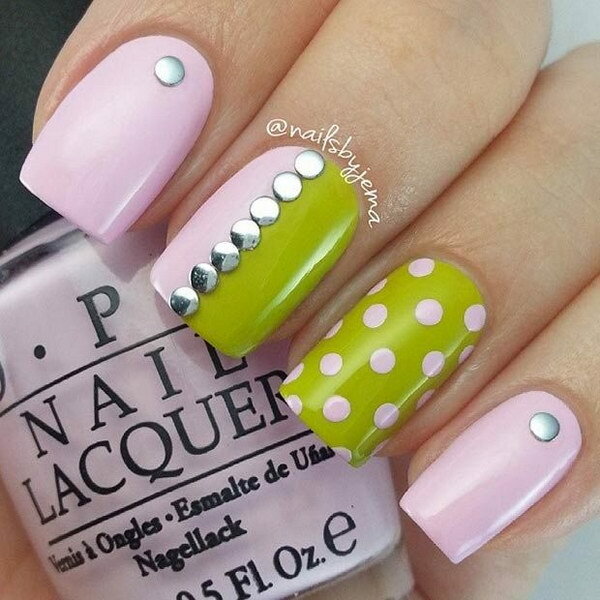 From stripes and florals to chevron, swirls and polka dots, it’s a fun way to express yourself through your nails. 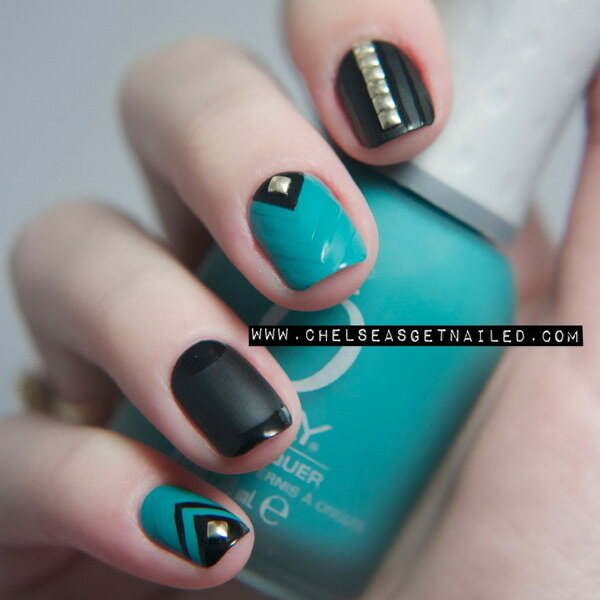 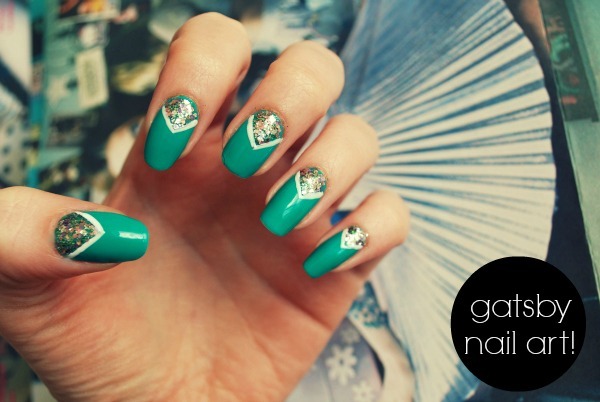 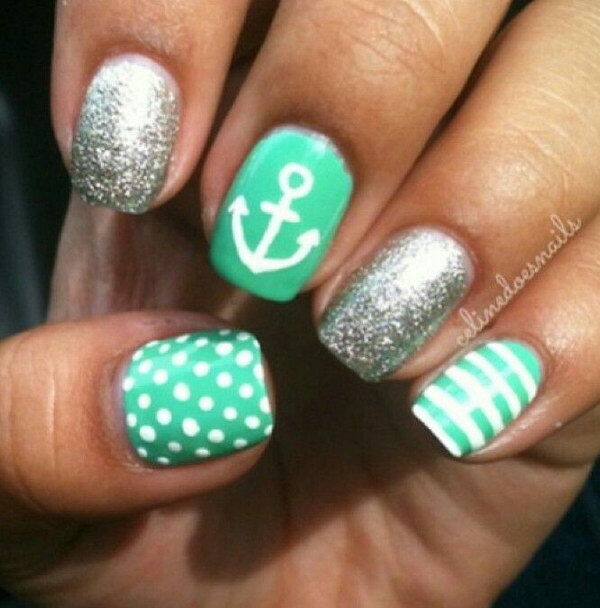 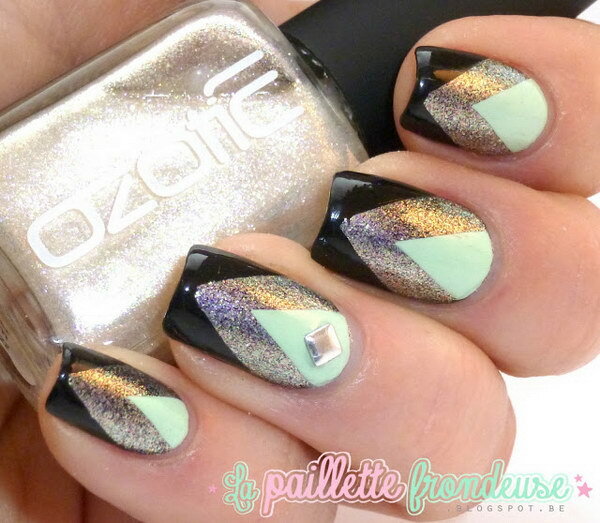 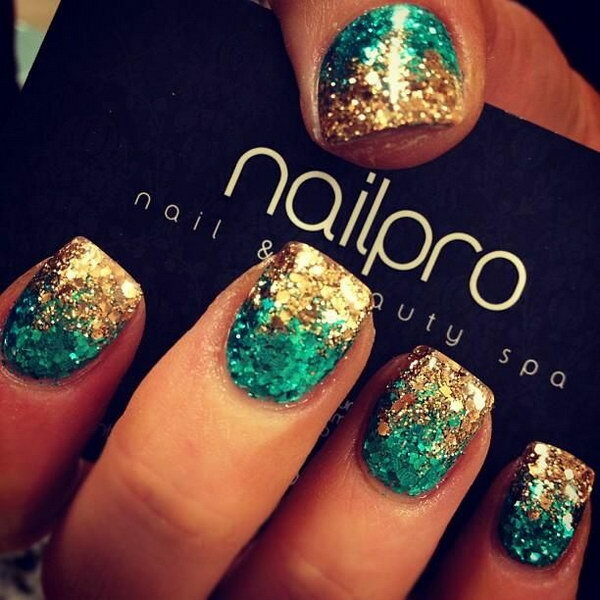 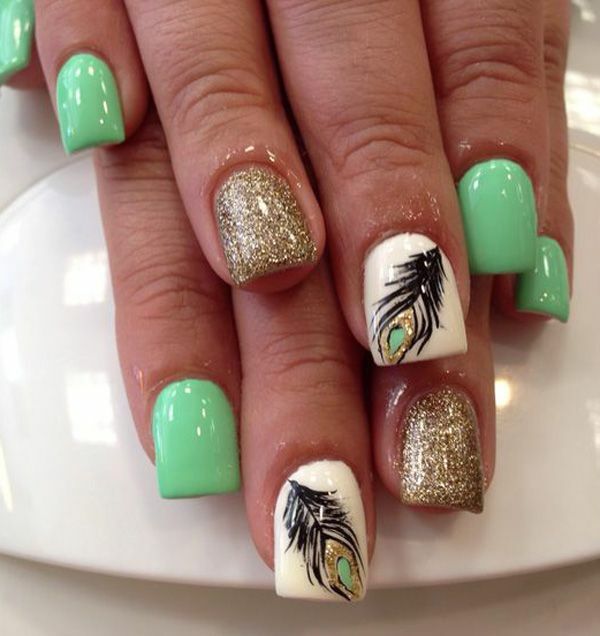 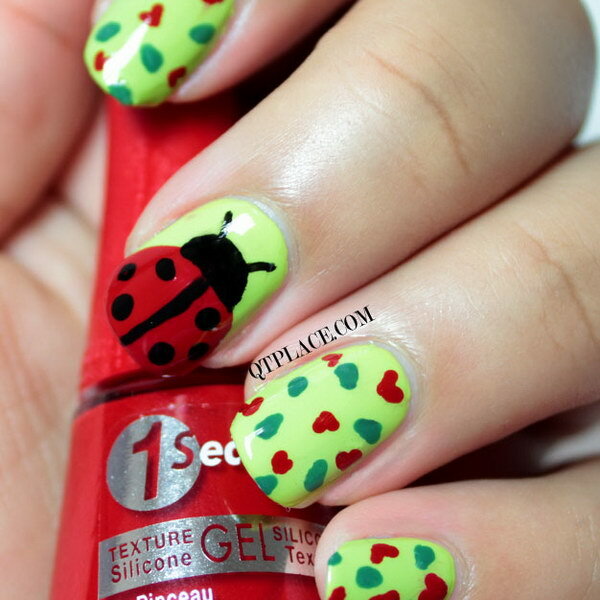 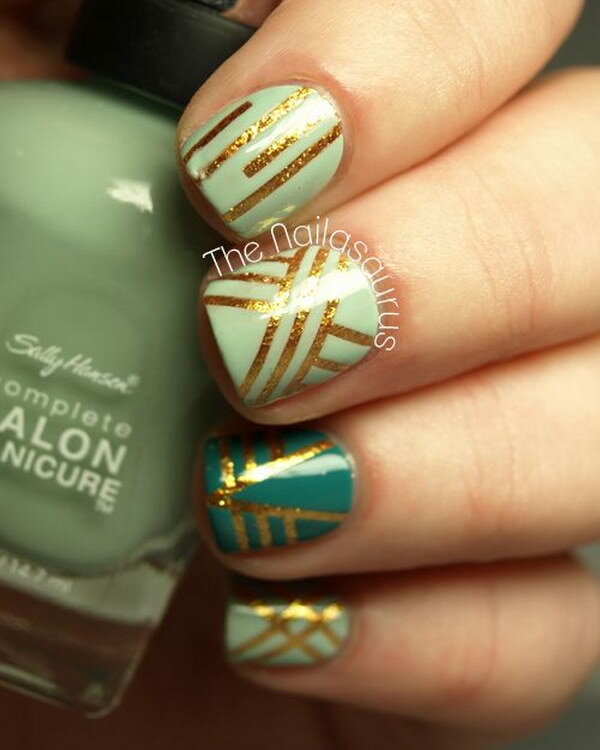 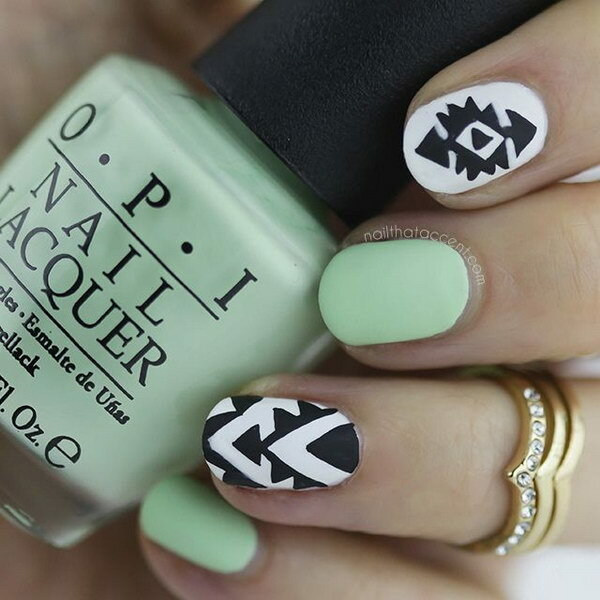 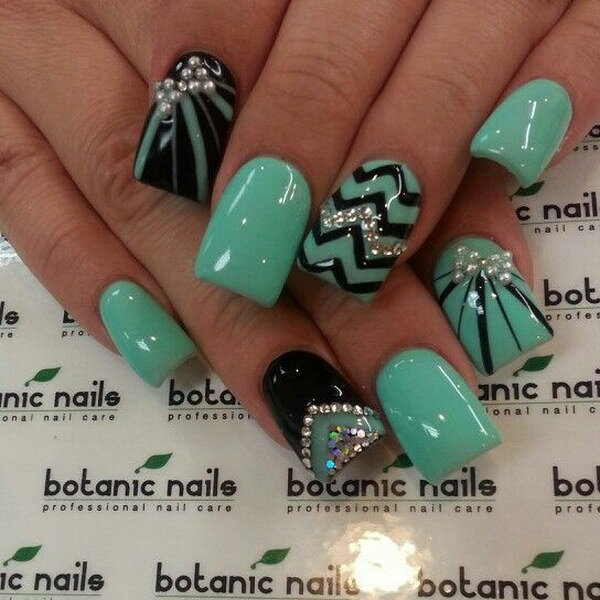 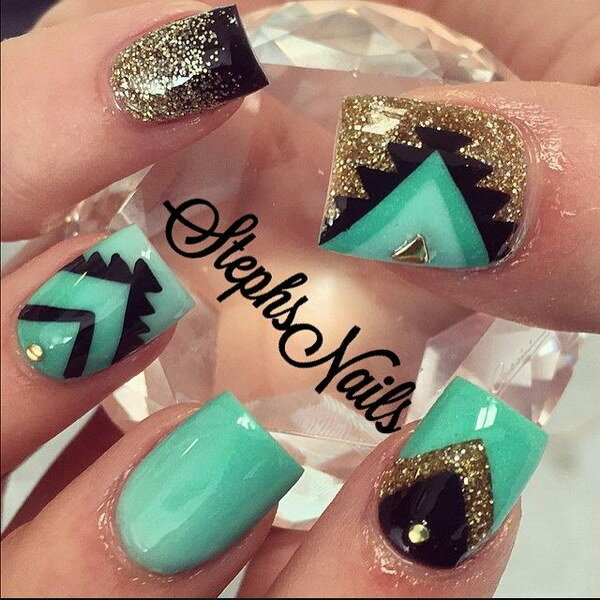 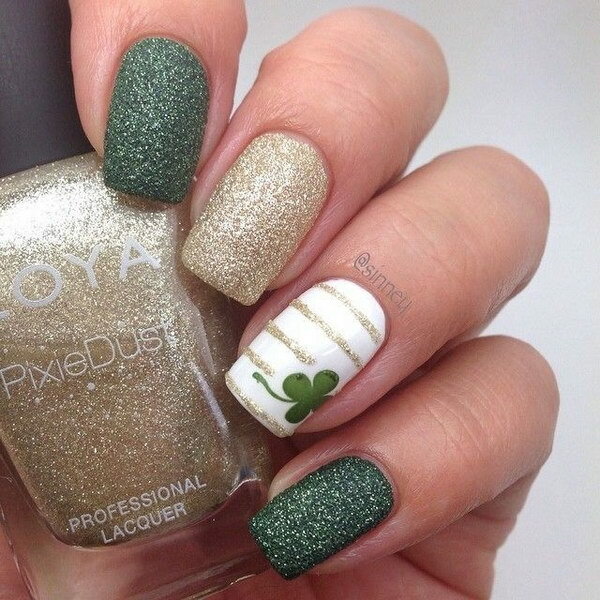 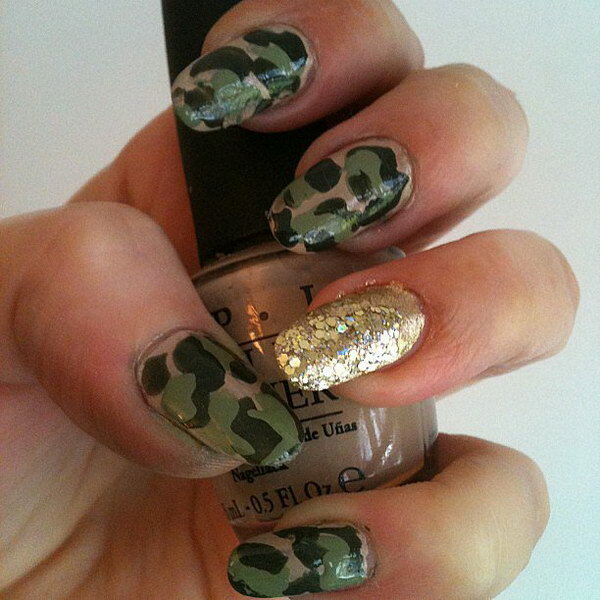 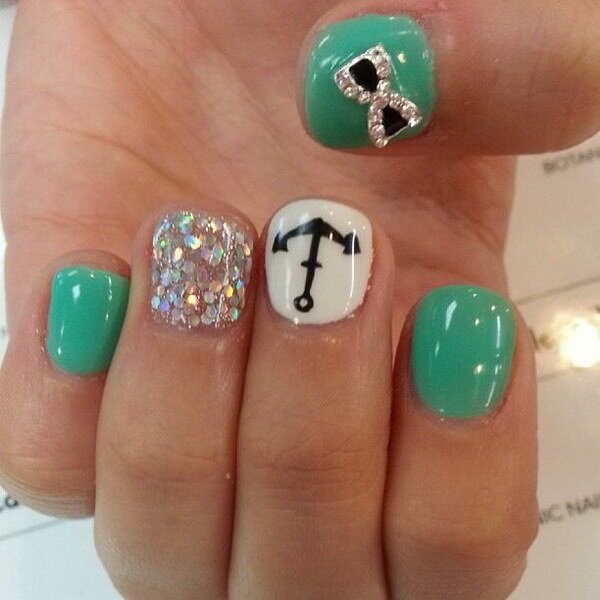 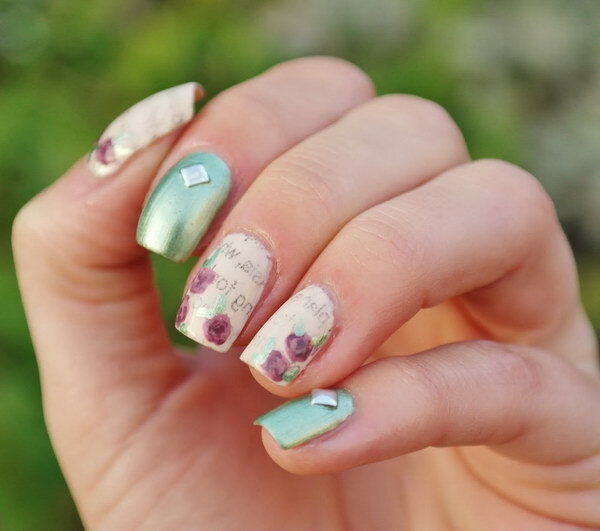 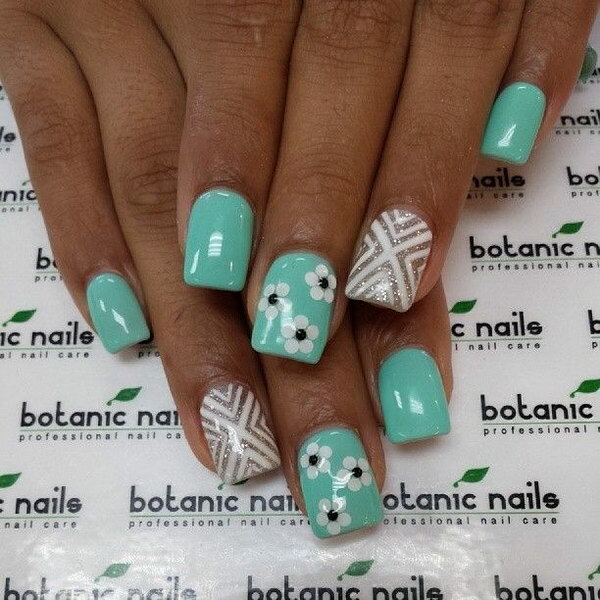 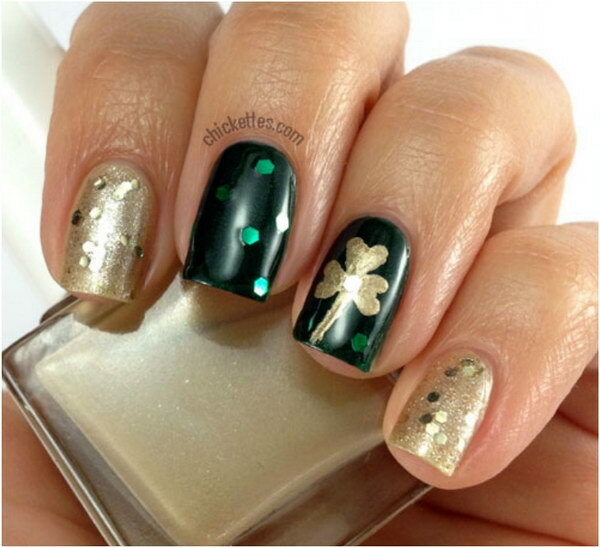 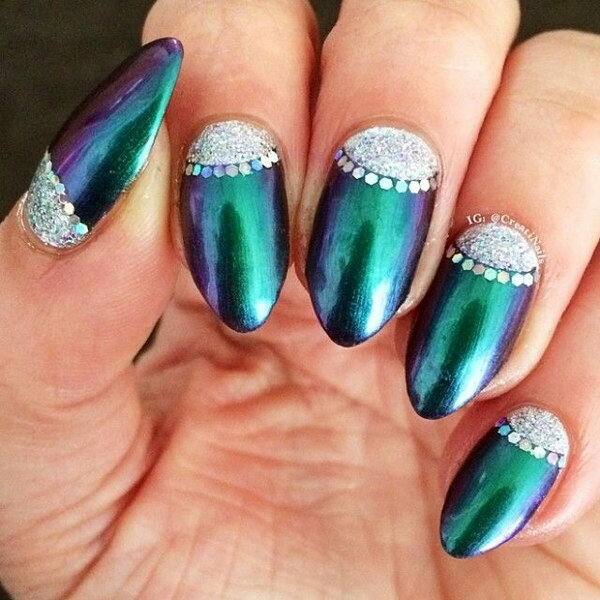 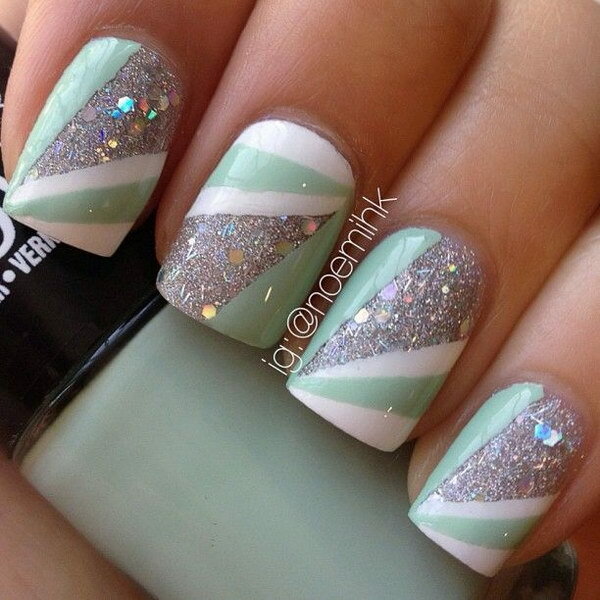 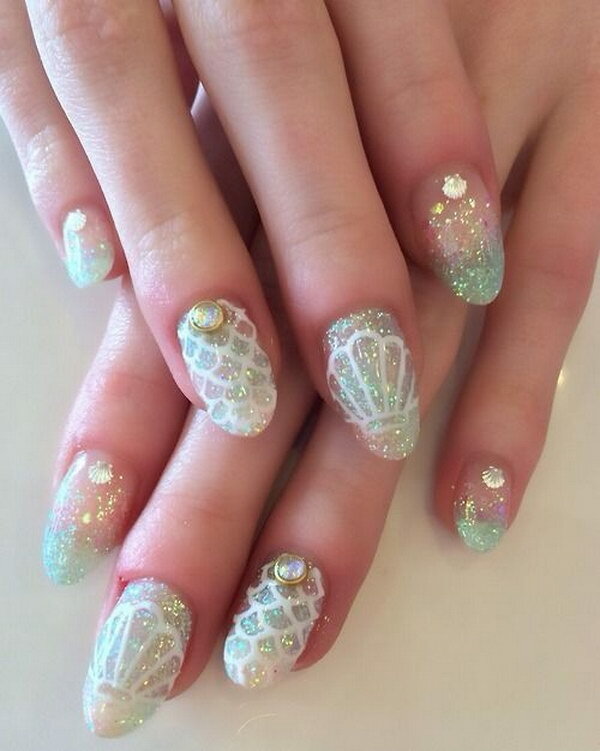 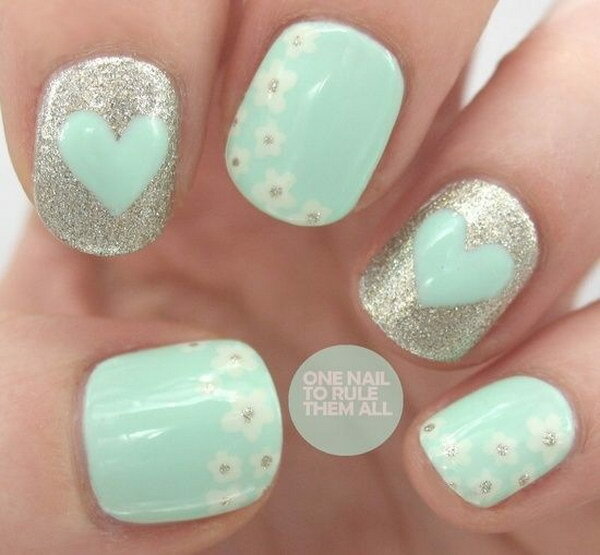 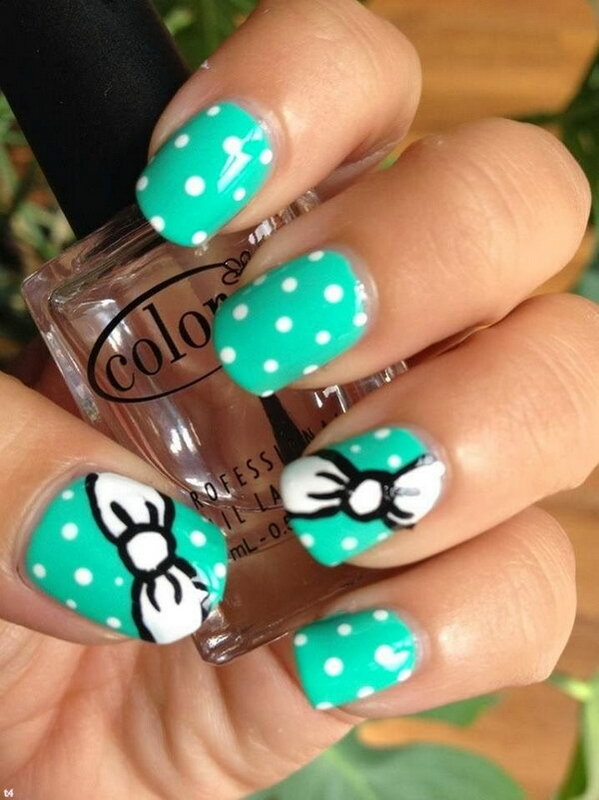 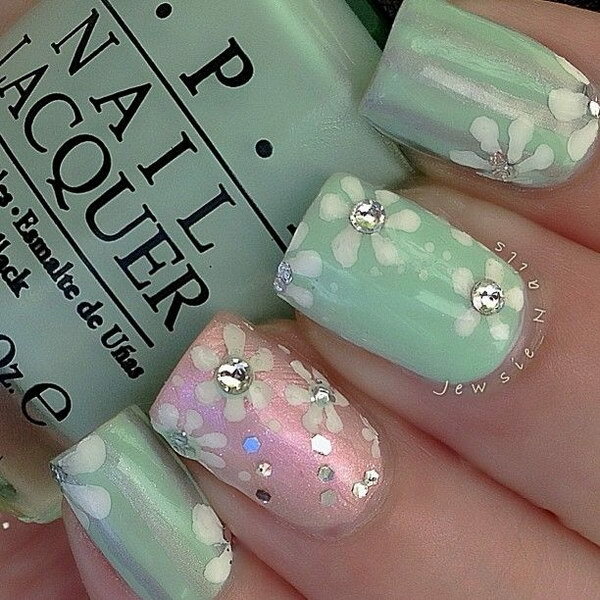 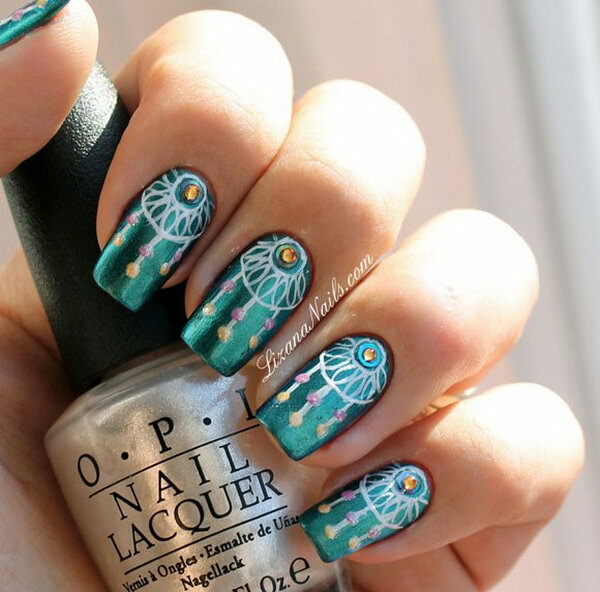 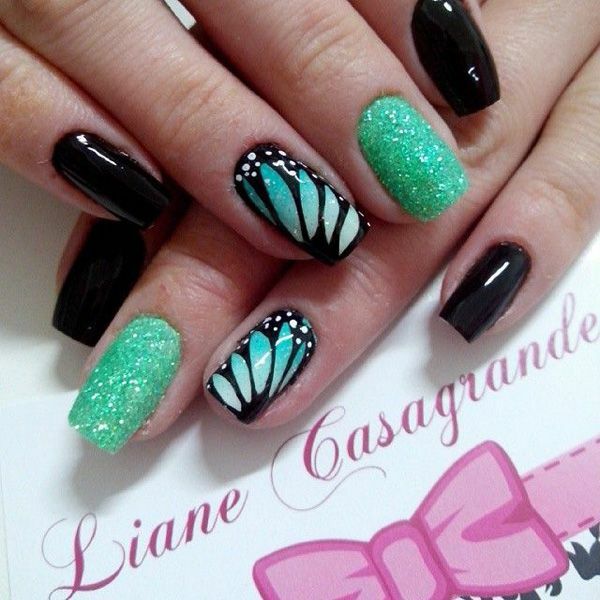 And you can always add some rhinestones, gems, pearls and studs for a great green nails art.